This timely and provocative book addresses a great paradox at the core of the American Dream: a passionate belief in the principles of democracy combined with an equally passionate celebration of wealth. Americans treasure an open, equal society, yet we also admire those fortunate few who amass riches on a scale that undermines social equality. In today's era of “too big to fail” investment banks, "vulture capitalist" hedge fund managers, Internet fortunes, and a growing concern over inequality in American life, should we cling to both parts of the paradox? Can we? To understand the problems that vast individual fortunes pose for democratic values, Robert Dalzell presents an intriguing cast of wealthy individuals from colonial times to the present, including George Washington, one of the richest Americans of his day, the "robber baron" John D. Rockefeller, and Oprah Winfrey, for all of whom extreme wealth is inextricably tied to social concerns. 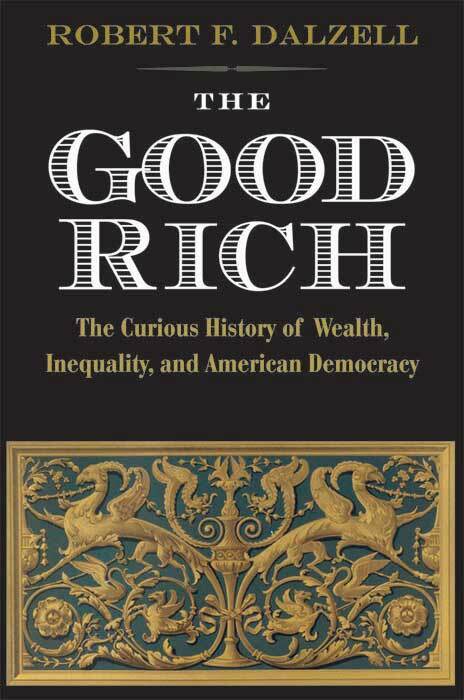 In the process Dalzell uncovers the sources of our contradictory feelings toward the very rich, how they have sought to be perceived as "the good rich," and the reality behind the widespread notion that wealth and generosity go hand in hand in America. Finally, in a thoughtful and balanced conclusion, the author explores the cost of our long-standing attitudes toward the rich. Robert F. Dalzell, Jr., is Frederick Rudolph Professor of American History, Williams College. His previous books include The House the Rockefellers Built and Enterprising Elite. He divides his time among Williamstown, MA, New York City, and Sweden, ME.